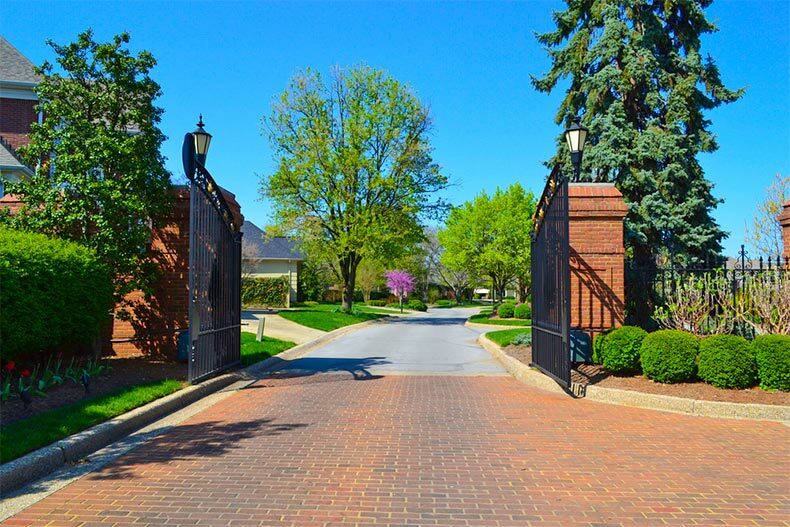 If you're looking for the privacy of a gated community near Charlotte, check out some of these neighborhoods. Homes within the community are all newly constructed with five different floor plans to choose. Available sizes range from 1,800 to 2,762 square feet and homes can have up to four bedrooms, three bathrooms, and a two-car garage. There’s certainly no shortage of recreational activities at Highcliff with the Palisades Country Club and golf course nearby. There’s also a fitness center, tennis courts, indoor and outdoor pools, and well-kept walking trails. Plus, with Charlotte in such close proximity residents can easily take advantage of all the city has to offer by taking a short drive. The Polo Club At Mountain Island Lake offers residents a small, intimate community with only a total of 98 ranch villas within the property. This low-maintenance neighborhood was built in 2008 and features a large community clubhouse that’s always active with social gatherings and club meetings. There's also an outdoor patio and grilling area, pool, and exercise room. All properties within the Polo Club are resale homes with nine different floor plans to choose. While most homes are attached single-family homes, there are some that are detached. Home sizes range from 1,137 to 1,992 square feet and can have up to three bedrooms. The community’s close proximity to the lake, Uptown Charlotte, and the Charlotte Douglass International Airport make it all the more appealing. It’s also within walking distance of several shops and restaurants providing the perfect excuse for a leisurely stroll. For even more outdoor recreation, the Latta Plantation Park and Equestrian Center are nearby. Located only minutes from Charlotte’s picturesque Lake Norman sits the area's newest Shea Home community, Trilogy Lake Norman, a 600-acre resort-style neighborhood that’s designed to offer its residents a low-maintenance lifestyle in serene surroundings. Homes in the neighborhood range in price and size, starting at the high $200s and going up to the $400s. Nine different floor plans are available to homebuyers with sizes ranging from 1,364 to 2,550 square feet. Trilogy Lake Norman’s expansive list of amenities includes a 25,000 square-foot clubhouse, art studio, demonstration kitchen, fitness center, indoor lap pool, on-site restaurant, athletic courts, outdoor amphitheater, and walking and biking trails.